The NAD Narkomed 2B is one of their longest running and most reliable model lines. The 2B has O2 and N2O standard with optional medical air and holds 3 vaporizers. An AVE ventilator with F-Style ascending bellows is a standard feature with oxygen, volume & pressure monitoring. Drawer pack configurations may vary from picture. SPECIFICATIONS Dimensions: "Maximum Height: 68" (173cm) "Maximum Width: 40" (102cm) "Maximum Depth: 25" (63.5cm) "Table-top Height: 34" (86cm) "Table-top Area: 271 in. sq. (1,749cm2) "Shelf Area: 200 in. sq. (1,290cm2) "Drawer Dimensions æLarge: 14"x21"x7" (36x52x18cm) æSmall: 14"x17"x3" (36x43x8cm) "Nominal Weight: 325 lb. (147kg) Electrical Conductivity: The NARKOMED 2B Anesthesia System is equipped with conductive casters. 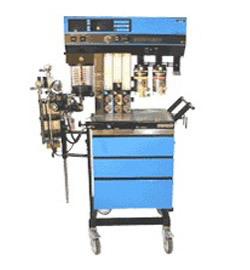 All anesthesia machines are tested for electrical conductivity between one caster as a measuring point and the table-top, shelf-top, and inspiratory valve, alternately, as the other measuring point. The maximum allowable resistance between any two points is 250,000 ohm. Gas Delivery System Information: Standard Gases: The Narkomed 2B is equipped with pneumatic circuitry for the delivery of oxygen (o2) and nitrous oxide (N2O). It has at least on oxygen and one nitrous oxide yoke for reserve gas cylinders with flush-type valves. The Pin Index Safety System prevents connection of a cylinder of the incorrect type. Option Gases: In addition to oxygen and nitrous oxide, the NARKOMED 2B may be equipped with up to two additional gases. The additional gas may be air, helium, (He), nitrogen (N2), or carbon dioxide (CO2). 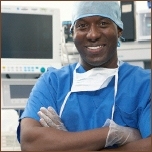 The additional gas may be supplied to the anesthesia system by means of pin-indexed cylinders and yokes, by Diameter Indexed Safety System (DISS) pipeline connections, or by both systems, if so selected.